He has a native East Coast, Aberdeenshire accent and is an excellent choice for any brand trying to communicate trust, sincerity and warmth. 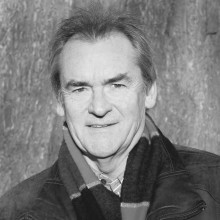 He is a versatile Scottish voice-over artist and has many years experience in after-dinner speaking and in business settings. He can also perform Scottish character voices using Aberdeen City and Shire dialects.